I like cooking en masse. I normally cook a big pot of samp and beans for a whole weeks worth of lunches, and trying to cook for one or two people is almost impossible for me. Leftovers are a big feature in the contents of my fridge. 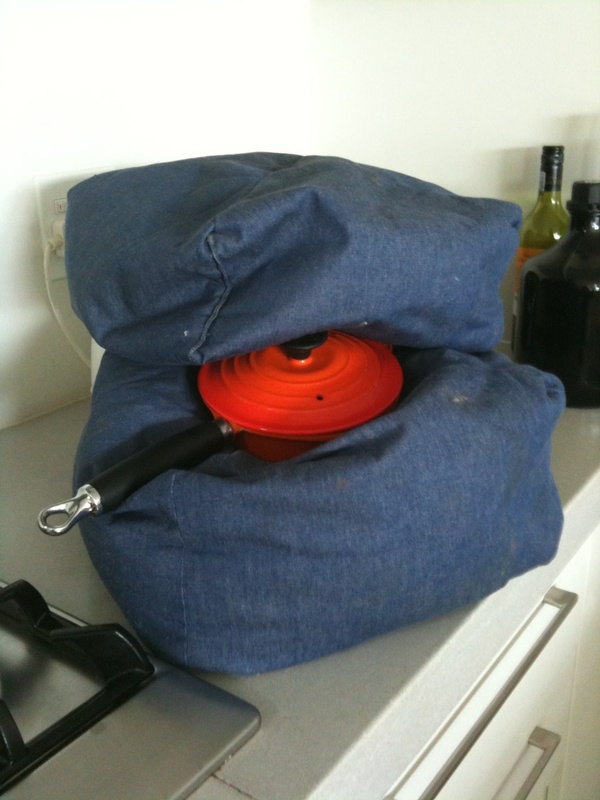 You can’t burn food in a hot box, and I’ve never damaged the hotbox itself (or my sleeping bag) by putting a pot that is too hot into it. 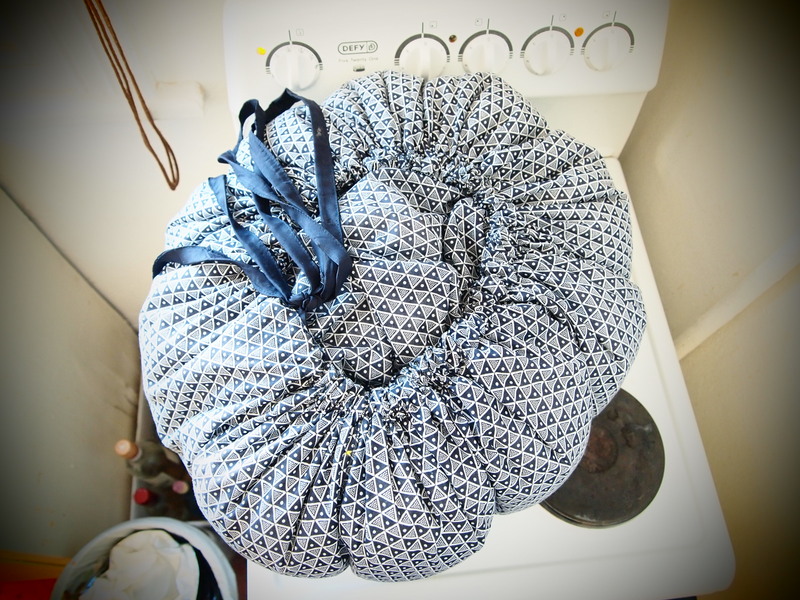 I do normally take the precaution of wrapping the pot in a drying up cloth or a towel in case there is any spill. I have put pots that are boiling rapidly straight from the stove into the hot box without any problems. The best thing is that dishes or parts of dishes can be cooked during the day and you can get home in the evening and have perfectly cooked food ready for you. The hot box would definitely be my recommendation for energy saving cooking. There are loads more though, from always using the pot that matches your stove plate size to cutting vegetables up smaller to cook faster. You need to tailor the methods to your own cooking situation and style. If you’d like to know more, we put together a whole list of energy saving cooking tips that you can use. If you’d like to buy a wonder bag, you can get one from our office if you’re in Cape Town, or check out this list of national distributors. Put the samp and beans in a large bowl, and cover with water and then add another cup of water. Leave overnight to soak. Pour off the water (use it on your plants/garden) and put samp and beans in a pot, and cover with fresh water, then add another cup of water. Bring to a rapid boil. 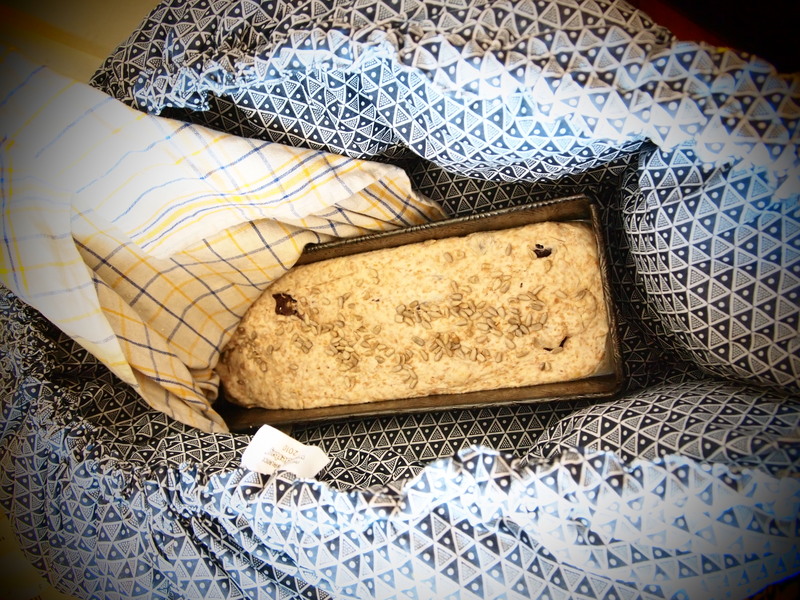 Remove from the stove and place in a hot box or sleeping bag (remember to use a towel or dish cloth to protect hot box/sleeping bag). Leave for 4 – 8 hours. Chop up the onion and fry in a pot with oil, curry powder and garlic. I use the same pot that I did the samp and beans in, and keep them, drained, in the container you will eventually keep the finished dish in. Once the onion is cooked, add the now cooked samp and beans, and the veggies and spices. I use any veggies that I have – often the ones that are looking a bit weary. I’ve made spinach and mushroom (with a bit of rosemary), turnip, carrot, kale and loads more, but this is really only limited by your willingness to experiment! Leave it to cook a little bit longer (I like the veggies quite crunchy), and then serve or keep in the fridge for later. You can posh it up by adding some cheese (cream cheese or hard cheese both work well) if you’d like. This entry was posted in Sustainable living and tagged Energy Efficiency, energy savings, Low Carbon, Renewable Energy. Bookmark the permalink. Thanks for this! I always wanted a hotbox and did not know where to get hold of one. And these are beautiful. Following my purchase and use of a SunCook solar oven, I have recently been awarded the distribution rights for South Africa. Between the SunCook solar oven and my old two plate caravan LP gas stove, all my cooking needs are sorted. Plus, the food I cook in the solar oven is chock-a-block full of the goodness of the food, as it hasn’t evapourated in the steam / dry air electric oven.